In our article “What to eat to never have another cavity in your life (part 1)”, we discussed how eating a savory breakfast is a helpful step toward living a cavity-free life. This article serves as ‘part 2’ of this series that focuses on how to eat to prevent cavities. 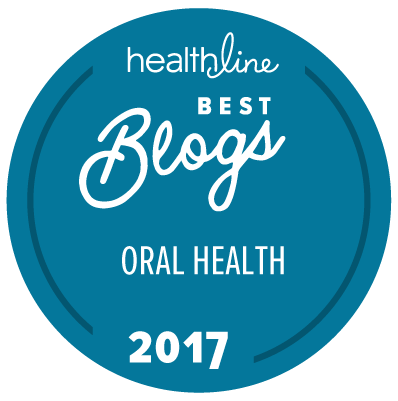 Today, we’ll explore our #1 diet fix to prevent and, in some cases, even reverse cavities: drastically increasing the amount of healthy fats we consume on a daily basis. Along the way, we’ll unpack some common misconceptions around eating more fats, and we’ll also provide clarity on what we mean by ‘healthy’ vs. ‘unhealthy’ fats. We tend to start many of our discussions on diet and tooth decay with the work of Dr. Weston A Price. Dr. Price did humanity a great service. He traveled the world and studied indigenous cultures, looking for clues and nutritional commonalities to explain why these peoples who were eating traditional foods had, by and large, very healthy teeth with little to no tooth decay. Dr. Price found that indigenous peoples consumed 4x more minerals and 10x more fats than peoples living in industrial communities. Keep in mind, Dr. Price did his research before the ‘low fat is healthy’ propaganda blitz was unleashed on the consciousness of people living in industrialized regions. His findings indicated that indigenous peoples consumed 10x more fats than our (Western culture) grandparents and great-grandparents did. The deficit is likely even greater now than in his original findings, since today many folks tend to eat even fewer healthy fats. If you take a look just at the amount of total fats a modern person eats, imagine that same person eating 10-15x more fats. What comes to mind? Are they healthy? Would you expect them to be obese? If what comes to mind for you is an obese, unhealthy person, that’s the cultural programming each of us has received throughout our lives. In truth, as the ‘keto’ diet’s popularity helps to prove, eating a lot of healthy fat doesn’t make you fat. It makes you lean, focused, and very healthy. If you want to do a deeper exploration of Dr. Price’s research, be sure to check out the work of the good folks at WestonAPrice.org. Or, if you want to get it straight from Dr. Price himself, you can buy his excellent book, Nutrition and Physical Degeneration. The primary focus for this article is to discuss the importance of consuming way more fats in our daily diets than most of us do. Why focus on fats over minerals? In a roundabout way, consuming fats helps us get the minerals that our teeth need to repair decay. And, it’s not only our teeth and mouth that benefit–our entire body benefits from fats in lots of different ways. Simply put, consuming fats is how we get fat soluble vitamins. Consuming more high-quality fats gives us access to the vitamins that are contained within and that work with these fats. These include vitamins A, D, E, and K2. Our levels of fat soluble vitamins determine whether our bodies will even be able to uptake and utilize minerals from the foods we eat. Like we’ve said for years, the axiom ‘we are what we eat’ isn’t quite on point. A more accurate statement would be, ‘we are what we absorb from what we eat’ as this takes into consideration the importance of digestion and absorption in our quest for optimal health through healthy eating. For example, one of the many roles of vitamin D is to absorb calcium from the foods we eat. If we’re deficient in vitamin D, we won’t absorb calcium from calcium-rich foods like dairy, kale, sardines, broccoli, and almonds. Following on this example, let’s assume we have enough vitamin D, so now we’ve absorbed the calcium needed to repair our teeth (and for many other functions around the body). However, in order for our bodies to know where to put the calcium (namely, into our teeth and other bones that need rebuilding), we need another fat soluble vitamin: K2. If we’re deficient in vitamin K2, our bodies won’t be able to guide the calcium into the areas where it’s most needed, like decayed areas in our teeth. So, we need fats first because healthy fats provide us with lots of fat soluble vitamins, which enable the body to absorb and utilize the minerals that are necessary to rebuild and thrive. As a very broad explanation, all natural fats have their place in a healthy diet (but some are more helpful than others). That said, it’s imperative that we avoid unnatural fats. Trans fats, commonly called ‘hydrogenated fats’, are killers. In fact, our friend Dr. Catherine Shanahan (nutritional consultant for the LA Lakers and author of the excellent book, Deep Nutrition) shared with us that hydrogenated fats fry our arteries, just like they fry french fries at every fast ‘food’ restaurant around the world. Dr. Weston Price commonly blamed the ‘foods of commerce’ for the decline in health that he observed in the industrialized world. At the time, he considered white sugar and white flour to be the main ‘foods of commerce’. If hydrogenated oils had been standard in the Western diet while Dr. Price was doing his research, we’re sure he would have put them near the top of his list of foods to avoid, because the damage they cause rivals the ravages that processed flours and sugars create. So, first and foremost, avoid hydrogenated oils at all costs. These harmful substances are a deal breaker for our family when we’re considering trying a new food product or dining out. PUFA, MUFA, Saturated, Omega 3, 6, 9–Oh My! Rather than attempt to explain the complex biochemistry of fats and oils, let’s take a broad look at them. In general, our modern culture eats way too many inflammatory fats (polyunsaturated fat [aka ‘PUFA’] and omega 6) and not nearly enough anti-inflammatory fats (saturated fat and omega 3). Most authorities estimate that in our modern diets, our ratio of inflammatory to anti-inflammatory fats is around 30:1. This is because so many of the packaged and restaurant foods we eat are prepared using inflammatory fats. Ideally, this ratio would be an equal 1:1. As a simple strategy, just remember to avoid fats that start with C or S (except the glorious coconut 🙂 ). Fats that cause inflammation are seed oils like Corn, Canola, Cottonseed, Safflower, Sunflower and Soy. On the other hand, fats that are anti-inflammatory are found in pastured animal fats, avocado, coconut, pastured eggs, pastured dairy, and wild fish. Rather than demonizing any specific one, let’s just see if we can find common ground that we can all apply. By drastically reducing seed oil consumption while simultaneously increasing our consumption of anti-inflammatory fats, we’ll be taking a huge step toward the ideal balance of essential fatty acids in our diets. If you want to learn more about fats, check out Mark Sisson’s excellent articles, “The Definitive Guide to Fats” and “How Should You Balance Your Fat Intake?“, as well as the “Know Your Fats Introduction” article from the Weston A Price Foundation. Isn’t a high fat diet going to cause heart disease or make me fat? Over the course of decades, modern media (funded in part by the industry that benefits from seed oil sales) has done a fabulous job of misinforming the public about the relationship between high fat diets and health issues like heart disease and obesity. Since the media campaign against saturated fats began in the 1950s, consumption of saturated fats has declined steadily, but heart disease rates have actually increased. See something wrong with this ‘logic’? And, since the 1950s, consumption of seed oils, particularly hydrogenated oils, has increased in lockstep with the increased incidence of heart disease. If you can handle a more direct and very well researched rebuttal to this now-refuted ‘saturated fat causes heart disease’ propaganda, be sure to stop by our friend Mark Sisson’s great blog at Marks Daily Apple to read his article on whether saturated fats are safe to eat. Where do I get more high quality fats in my diet? If you are a minimalist (and can tolerate dairy), eat lots of butter. Butter from organic, pastured (grass-fed and finished) animals is best, and the deeper the natural yellow color the better (because more color indicates more nutrients). From there, as a general rule, eat more avocados, coconut, olives and their oils. Pastured egg yolks and butter are revered in traditional cultures because they are nutritional gold (they contain lots of nutrients). If you’re on board with traditional foods, eating plenty of varied animal products, from nutrient-dense fish like salmon and fish eggs to pastured animal meats and their organs, are fundamental to providing our bodies the nutrition they require to thrive. What if I don’t eat animal products? And if you don’t do meat, take a page from traditional Indian culture and consume lots of pastured dairy products. We realize that this may be doable for vegetarians but challenging for our vegan friends. Unfortunately, in our research, we have yet to find a traditional culture that thrived on a vegan diet. We respect your choice to live in alignment with your values and we’re not saying that it’s not at all possible to thrive on a vegan diet; it’s just that we have found no historical precedent to demonstrate that it’s possible. If you choose not to incorporate any kind of animal products into your diet, then it might at least be helpful to really, really increase your intake of the other healthy fats we mentioned, like avocados, coconuts, and olives. So, go grab your favorite fatty, flavorful food and enjoy it. We are hardwired to crave fats for the deep nutrition they provide us. And remember, steer clear of the highly processed, fake foods of industry (especially hydrogenated oils). They truly are a poison. For more helpful strategies, be sure to pick up your FREE copy of our resource guidebook, “How to stop tooth decay and remineralize your teeth” here. The guidebook is loaded with helpful strategies to help you along your path to a cavity-free life. In the next article in this series, we’ll explore how to optimize your food intake for your body. Specifically, we’ll discuss how taking our ethnic heritage into consideration may help us determine what food sources could help us to optimize our health and vitality even more. Did we miss anything on the importance of healthy fats to stop and reverse decay? Please share in the comments below! It’s equally important, if not more so, to make such that a person can handle digesting fats. Many, including me , have super duper problems digesting fats. I take enzymes to help. This is very important for people who can’t digest fat well, and for most people they won’t know if they digest fat well without testing. I want to acknowledge you for being willing to look beyond what was probably an initial sense that you couldn’t eat fats in quantity. Thank you for sharing this important distinction! “I had my dental check-up today and my hygienist said, and I quote, “You’ve been my easiest patient all day! I wish all my patients were like you! There’s nothing [to scrape] on your teeth and your gums look awesome. Keep doing what you’re doing.” I think that’s a ringing endorsement!